Did you know that 5 million teeth are knocked out every year during sports activities in North America. This alone makes it imperative that those involved in any kind of contact sport have the protection of a Sports Mouthguard. Generic, over-the-counter Sports Mouthguards cannot provide the same kind of protection for teeth that our properly-fitted Sports Mouthguards can. Sanford Dental Excellence offers professionally, custom-fitted Sports Mouthguards for patients who are active in sports. Our properly-fitted mouth guards not only provide the right protection, they’re comfortable so athletes will keep them in their mouth while involved in sports activities. Our Sports Mouthguards have sufficient thickness and tear resistance for maximum durability. They’re also odorless, tasteless and not bulky so there’s minimal interference when wearers are speaking and breathing…a critical aspect of any sport. The American Dental Association estimates that mouth guards prevent approximately 20,000 injuries each year. They also found that an athlete is 60 times more likely to sustain damage to the teeth when not wearing a protective mouth guard. 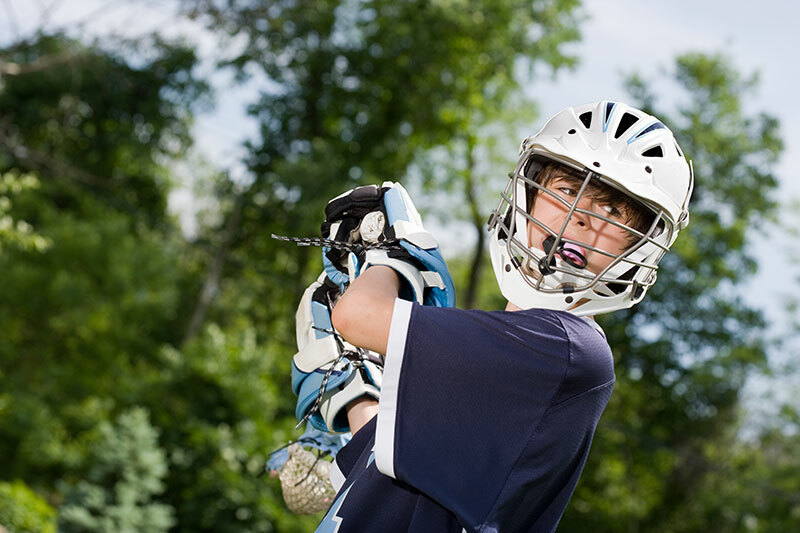 Besides preventing damage to teeth, our Sports Mouthguards can also help prevent concussions.